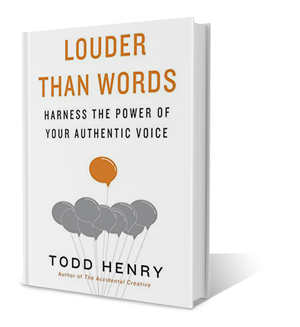 Todd Henry (@ToddHenry) is an author, speaker, and creative consultant who has written three books, including his newest, Louder Than Words, available August 11, 2015. Building on his previous writing efforts, Louder Than Words is aimed at creative professionals who struggle to find significance in the larger arc of their work and careers. Together, we discuss his unwavering writing methodologies, the struggles faced by creative pros at various points in their career, and what he’s discovered in writing and publishing three related books in seven years.